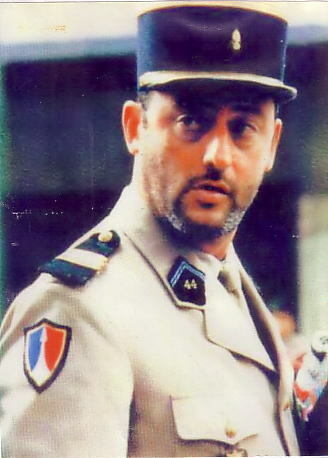 This is a comedy starring, Jean Reno and Christian Clavier. The president of the republic of France calls in, Jean, also known in this as the Squale, the 'Shark'. He is being sent on a very important mission,to find the last mole 'le poulet' in the DST. Unfortunately for him, he actually trained the spy he is looking for, and he is the most ridiculous man. The man is also maried to a woman who is a spy in her own right. She has to compromise her husband for the best result in the mission.Jean feels quite sorry for the wife, and so the mission changes onto a somewhat different course.